Our range of bungalows and lodges will suit every taste and budget. From cosy cabins within earshot of the creek to luxurious architect-designed lodges with aspects across the valley, our guests love everywhere they stay at our Retreat, because they’re all unique and beautifully appointed. 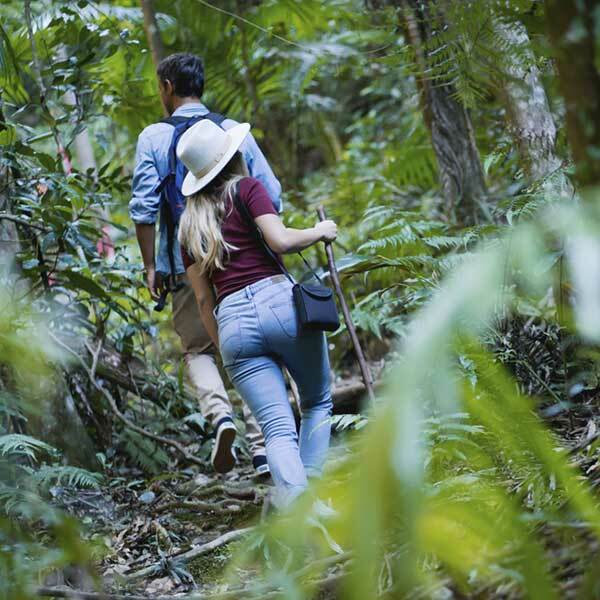 Stroll along our 8 kilometres of rainforest tracks through stunning fern-lined gullies and giant 400-year-old trees. 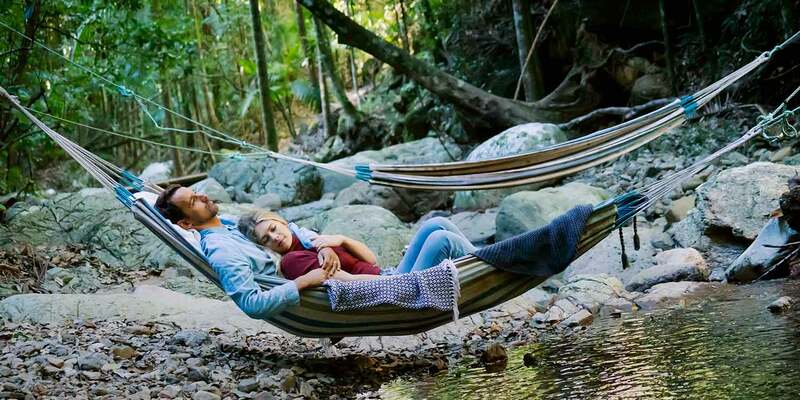 Lie in our famous hammocks over a babbling rainforest brook of pure, crystal-clear mountain water. Or take a Picnic Pack to our lovely citrus orchard. At night, wander to the creek to marvel at the magic of the glow worms. Our retreat is specially designed with romance in mind. For an unforgettable honeymoon, a romantic surprise for a birthday or anniversary – or just an escape from life’s hectic pace – this is the ideal relaxing getaway for two. 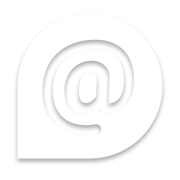 We have loads of extras and packages to make your experience with us absolutely perfect. So that you and your partner can spend the most time together alone, we provide freshly prepared, delicious gourmet food and deliver it quietly to you, so you can eat whenever you want. 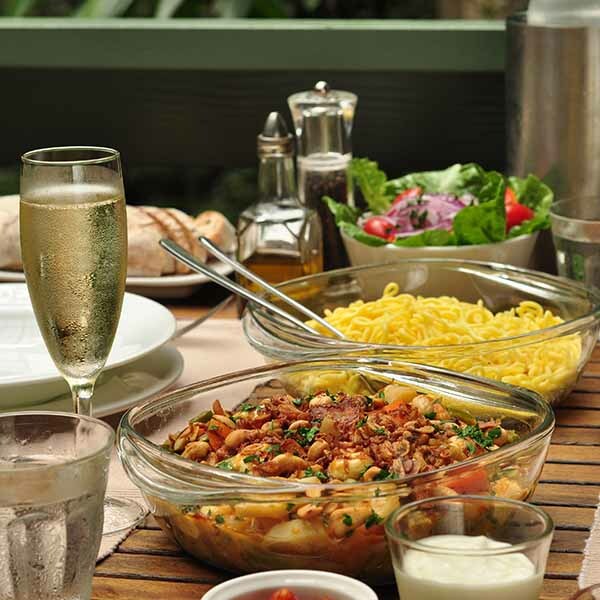 Our menus of dinners, hampers, breakfasts and even picnic packs are delicious and nutritious. 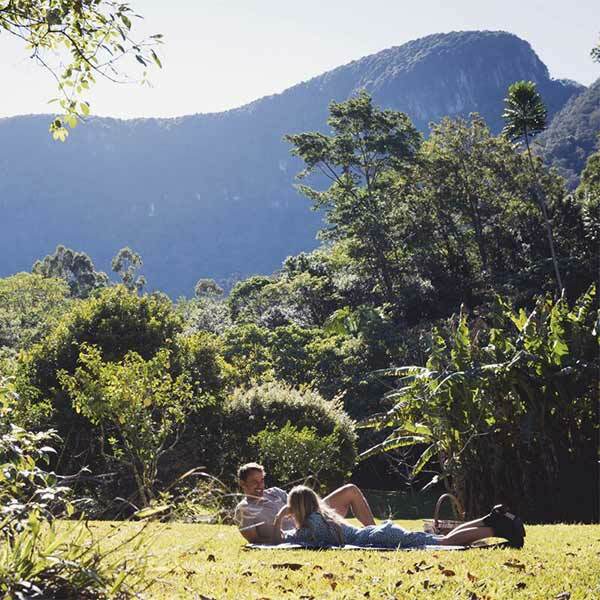 Our 102-hectare property is in the beautiful Tweed Valley in northern New South Wales. We’re bordered on three sides by World Heritage National Park, assuring true peace and privacy. We seamlessly combine the key ingredients of the ultimate romantic getaway – privacy, comfort and seclusion – with a stunning natural location. 24 April 2016Absolutely out of this world. Surprise trip and best surprise ever! Amazing Lodge, amazing food, amazing tracks. Perfect. 1 November 2015The room was gorgeous, the food amazing and the location simply stunning. Very well stocked kitchen and all meals came with detailed instructions. Picnic lunch in the orchard was lovely and the bush walks on the property were very nice. A wonderful place to stay. 31 December 2016We celebrated our 50th wedding anniversary here and it is a very beautiful and romantic getaway. We stayed in Satinash which was exceptionally well appointed. 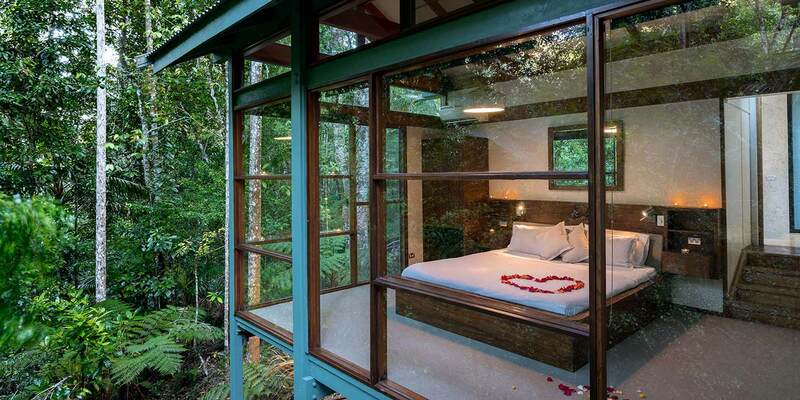 Very clean and modern and surrounded by glass with a secluded, private outlook into the rainforest. Wake up to a bird symphony. It was very relaxing and a memorable experience. 4 September 2016I am the luckiest woman on earth. I got abducted by rose point from work on Friday and followed a trail of hints and history from Toowoomba to Crystal Creek. WOW! 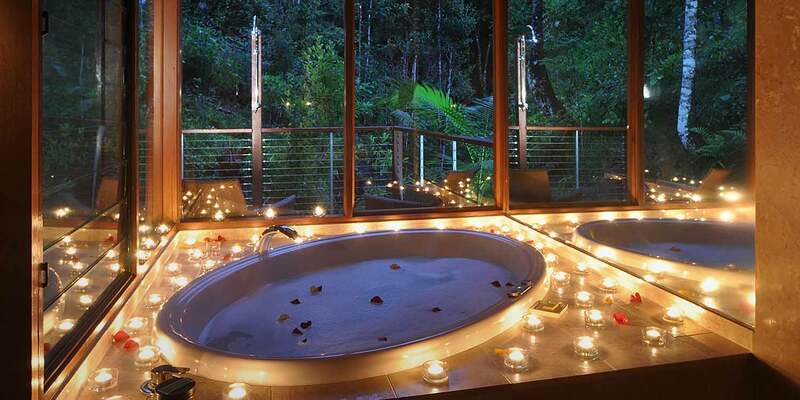 We arrived to candles, rose petals, an amazing paradise “Tamborine”. Thank you CCRR team. 28 September 2018The best place to spend my honeymoon with my new wife. We will definitely be back. It is so peaceful and relaxing and the staff are the best. 15 December 2017I’m still here in my Mountain View Lodge and believe me it’s sensational. I wish we had booked 6 days instead of 3. Everything is as promised. I no longer feel 66 years old, maybe 10 years younger … although the fabulous bathroom’s mirror tells a different story. Suggestions … Don’t forget your iPod. 5 February 2018We had the Lamington Mountain Lodge over the weekend which overlooked the forest. 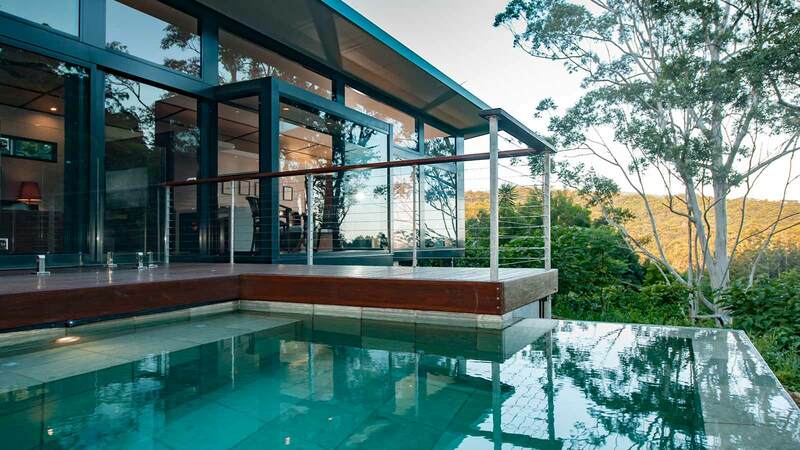 Beautifully appointed MASSIVE free standing private villa (think Qualia) lovely plunge pool. Spotless. All mod cons. Double sided fireplace. Easy drive up car port. Very private. Booked again in July for a winter weekend break. Highly recommend. 28 September 2015What a setting for such an unbelievable week spent at this great resort. 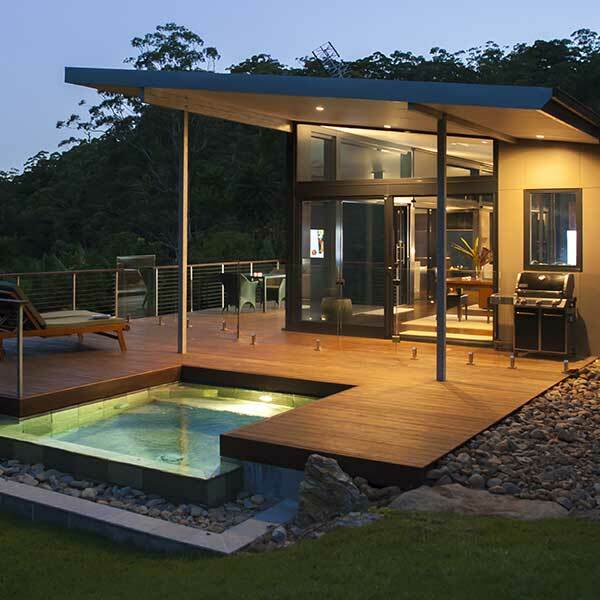 Close enough to the Gold Coast or Byron Bay for a trip with world class features in your own private bungalow to enjoy the rainforest from your own private pool or outdoor dining area. Could not have asked for a better place to spend our time away. 27 February 2016This is the best honeymoon a girl can dream of. Location is remote. Great service. There are forest swimming pools. 24 September 2015Thank you for a beautiful place to come and spend our 20th wedding anniversary. We have relaxed and unwound. The food and walks were amazing. The accommodation is fantastic. Perfect thank you. 12 August 2018We stayed in a glass terrace bungalow and it was lovely. Very clean and simple, yet comfortable and luxurious. 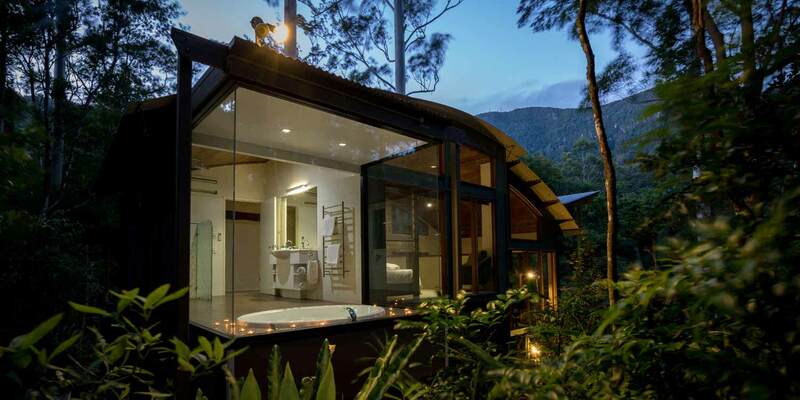 Beautiful bathroom with heated floor and great view from the spa bath to the outdoor shower area. We played scrabble on the deck, listening to the whip birds and watching the bush turkeys scramble about below. The dinners delivered were really good, especially the Massaman Curry. Breakfasts yummy too and we used the Nespresso machine each day. Lots of good videos. We did the rainforest walk, too – steep but enjoyable. 15 January 2015Thank you for an amazing few days, no words can describe how beautiful this place is. We had a fantastic time and thank you to the team for helping my fiancé put together the biggest surprise of all, “An Unforgettable Proposal”.